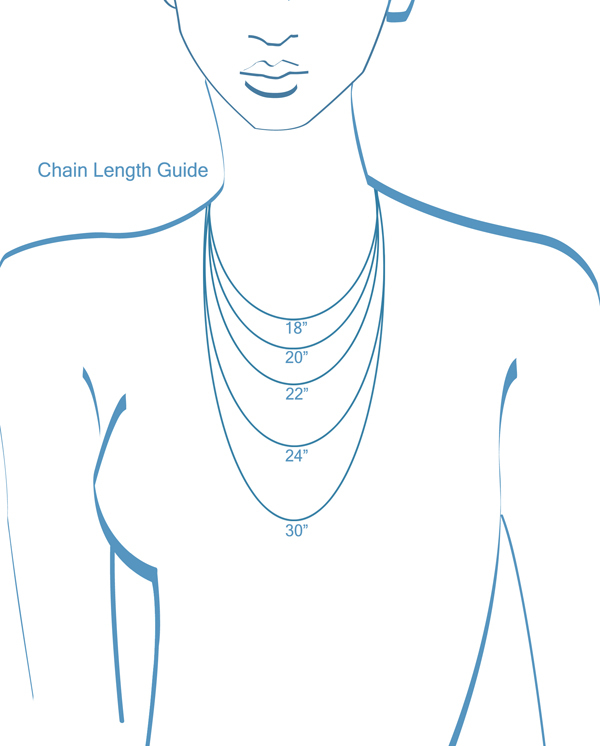 Use our Chain Length Guide to help visualize where your pendant and chain will hang. These guidelines may help you with your selection. Longer lengths create a much more dramatic look when worn outside the shirt. The most popular lengths are 20" - 22" - 24"